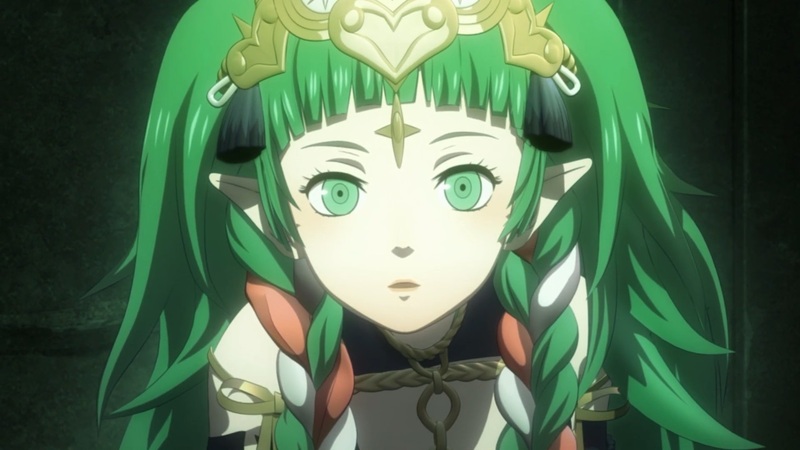 On 13th February 2019, Nintendo revealed a new Three Houses trailer during their Nintendo Direct presentation. Click here to view the trailer. We also wrote an in-depth analysis of the trailer. 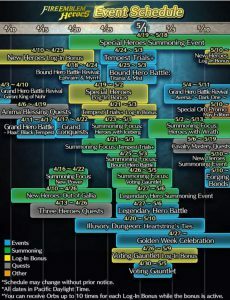 Above is the official Heroes event calendar for 11 April to 10 May 2019. 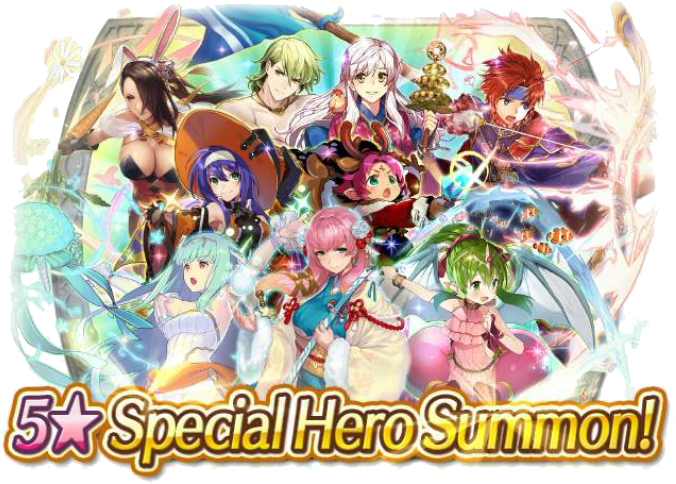 Most notably, we’ll be getting new Special Heroes (likely the latest batch of brides) on 19 April and more New Heroes on 10 May. 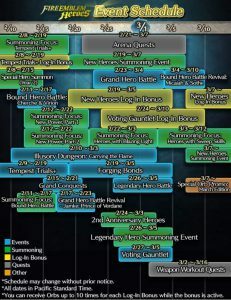 The next Legendary Hero banner will fall on 27 April. Click here for a text breakdown of the calendar’s contents. Above is the official Heroes event calendar for 8th February to around 8th March 2019 (UTC). Please click here for the news story–and for a text breakdown. 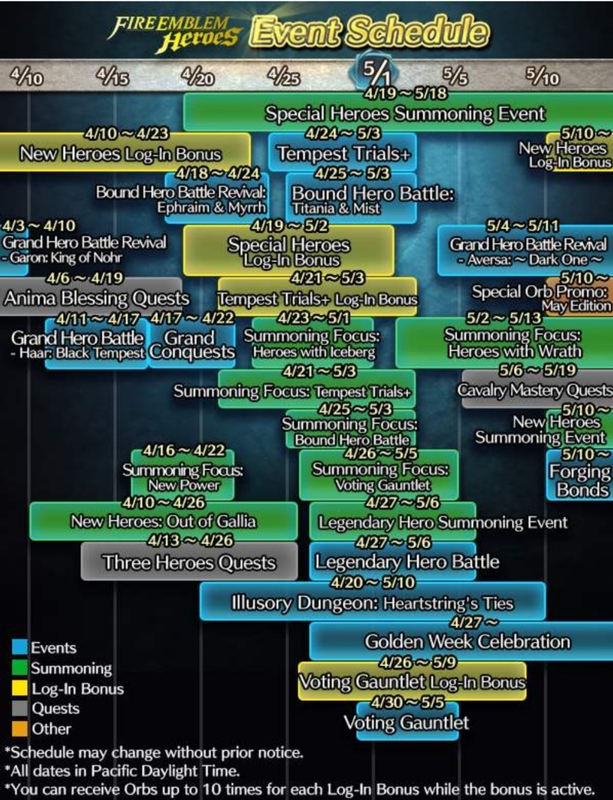 Heroes: Special Hero Summon (Year 2), TT Details, & New Event Calendar! The Fire Emblem Heroes 2nd Anniversary celebration continues! Now that we’re a week in, all players have access to the Special Hero Summon (Year 2). 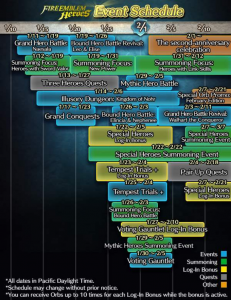 All players can choose one free summon, guaranteed to be a 5★ Special Hero from the last year! 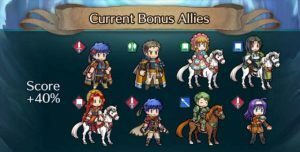 We also have another new daily banner today, this time for Ike & Soren’s BHB. 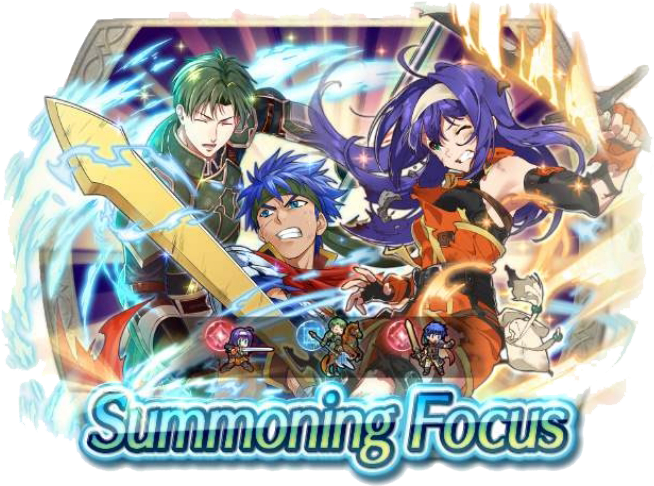 It contains 5★ focus units for Ike, Soren, and Elincia. Additionally, we now have more details for the upcoming TT event. 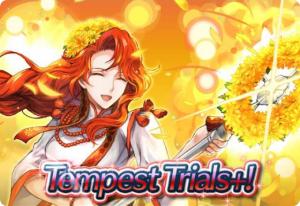 Tempest Trials+: Greil’s Request starts tomorrow! 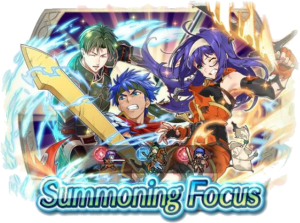 In preparation, you can summon from another banner, this time containing focus units for Ike, Oscar, and Mia. We also get another Log-In Bonus! 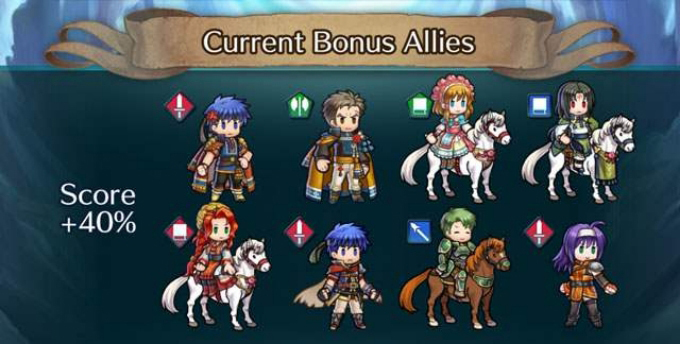 As you might expect, those three heroes will be Bonus Allies in the event, along with the four Valentine’s Heroes in the Greil’s Devoted banner. The final ally is Valentine’s Titania, who you will earn during the course of the event. In addition to Titania, you’ll be able to earn two new Sacred Seals (Acrobatics 1 and Torrent Dance 1) and an Astra Blessing. Of course, there will be lots of Orbs, too! 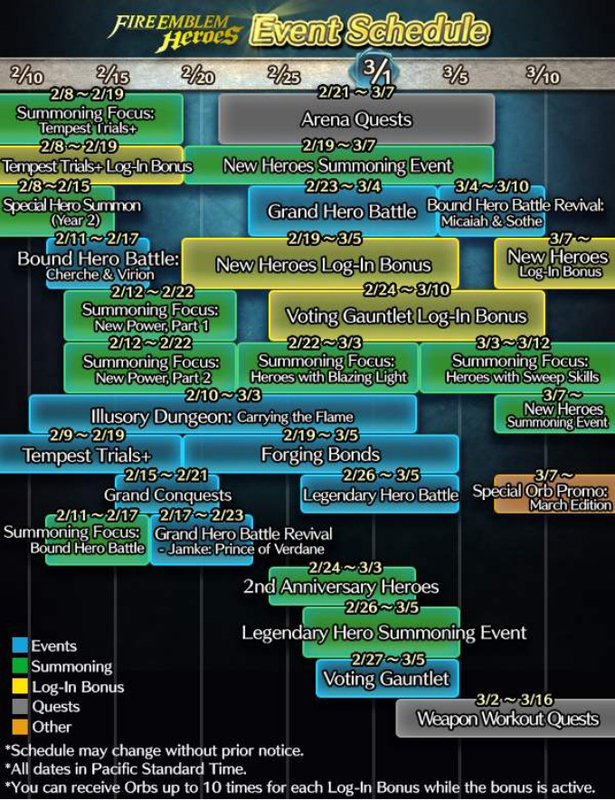 The next month looks pretty exciting, with two New Heroes events, a new Grand Hero Battle, Forging Bonds, and many more! 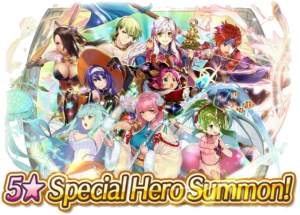 It also gives a firm date for the special 2nd Anniversary Heroes banner, which will contain the heroes voted for in the Find and Vote Heroes event. That will start on 25 Feb.
Click on Read More for a full text breakdown of the calendar, including corrected dates. Between 22nd to 29th January 2019 (UTC), you can cast your votes for Choose Your Legends Round 3. Click here to visit the official website or click here to read our news story. Above is the official event calendar for 12th January to around 12th February 2019 (UTC). Please click here for our news story–and for a text breakdown.